Here comes the Sun, the Rain and the SUMMER MADNESS! Summer is nearly here, but we still have one more show, one more workshop & one more set of auditions to go! If you saw great work at our recent presentation of IOLANTHE (or any of our shows this season), we encourage you to nominate a performer, director or designer in recognition. Click HERE to honour our volunteers. June 3 – A Methodology toward Artistic Unity for Actors & Directors – With Richard Michelle-Pentelbury. Learn strategies of how to work more effectively with your team! 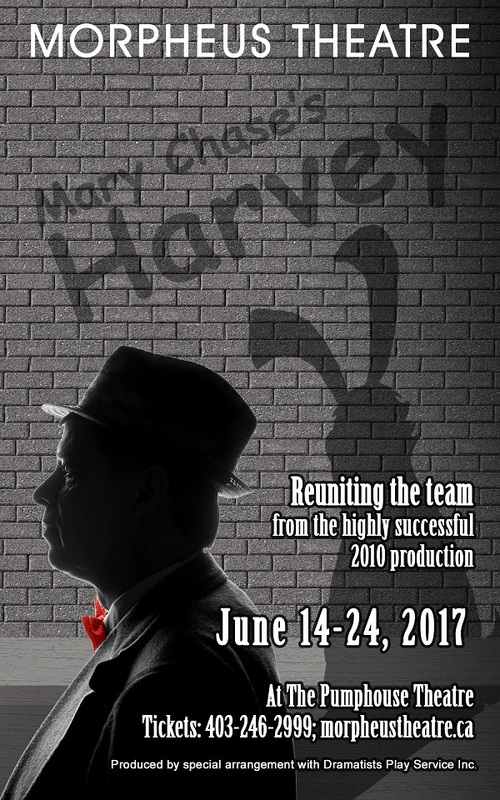 June 14 – 24 – HARVEY: Reunion – Follow our Cast Announcements on Facebook! Discounts still available for Season Ticket Holders – call 403-246-2999 or email the office! June 25 – Annual Appreciation BBQ – More info coming soon! June 26, 27, 28 – Auditions for MOON OVER BUFFALO – More info & sign up coming soon! August 17 & 18 – CASINO FUNDRAISER- email the office for more details! Join us for our TWENTY-THIRD SEASON of Shows Worth Seeing. Click the link to Download the Season Ticket Form. The childhood classic you have come to love; a tale of finding love where you least expect it, about seeing with your heart, complete with a needy witch, some animated furniture and a poodle. Our holiday panto is back – oh yes, it is! – and it’s fun for your whole family. When her mother trespasses and takes a rose from the Beast’s garden, Rose, a.k.a. Beauty, is forced to go live in the castle with the Beast, who hopes that she will be the one to break the curse laid upon him by the clingy, magic-slinging Malabelle. Will Beauty come to love him, despite his ugliness? Will they have a happily ever after? Anything is possible, but they must make their way through beloved panto tropes, musical numbers and some cheesey jokes first, but that’s all part of the charm of panto! We think they’ll make it. After all, what is it they say? Love will find a way! Oh yes, it will!